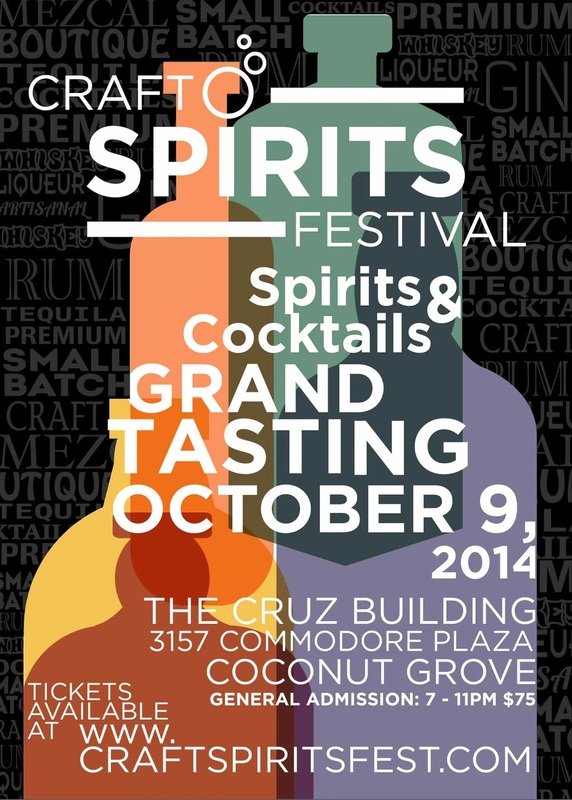 The Grand Tasting of the Craft Spirits Festival will take place this Thursday, October 9, 2014 from 7pm -11pm at the Cruz Building in Coconut Grove. This is the second year of this showcase for attendees to sample and learn about these craft beverages. Over 30 exhibitors will be offering whisky, rum, vodka, gin and other spirits, and some will be mixing cocktails as well. Grand Tasting tickets are available for $75 and can be purchased at the Craft Spirits Festival website. I'll probably be tweeting with #craftspiritsfest. I hope to see you there!